Over the past few weeks we have seen some great feats in sports and 2 of them have been in a port city in Ohio and I don’t mean the southernmost city that most would expect. Speaking of that city, they are taking it tough on the chin…the Bengals got smashed by their in-state rivalry and the Reds quietly bowed out of the playoffs helping the Pirates to shake off their playoff cobwebs and advance to the NLDS against the Cardinals. Back to the muse of my pontification this evening so as the sports world is elated about the current status of the Cleveland sports teams. I began to wonder how often has this occurred historically? I also figured I needed write this as soon as possible before their fate changed. (Too late the Indians lost 4-0 in the Wildcard play in…I mean playoff game to the Rays) and least the Browns are above .500 at 3-2 and on top of the AFC North….yes that is no misprint. 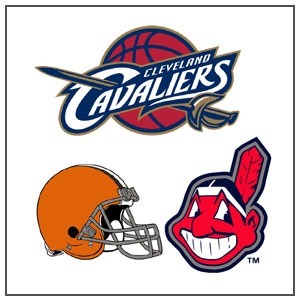 Cleveland is not big enough for more than one winning team! Now its up to the current teams to prove history AND my theory wrong. I hope for the sake of all of Northeast Ohioans that I am wrong.